Smartphone ownership has become more common than ever in teen life, with 95% of teens now reporting that they own a smartphone or have access to one. This easy access to the internet, of course, leads to a much higher involvement in online activities. In fact, 45% of teens now say they are online on a near-constant basis! Back in 2012, on the other hand, only 66% of 16-24 year olds owned a smartphone. At this time, back in 2012, the number of active Facebook users surpassed one billion, making it the first social network ever to do so! Whilst you may remember those days of Facebook being the most popular social media platform around, with teens glued to the site almost every waking moment - those days are now over! Facebook has now lost many teenagers from both the UK and the US, as mobile social networks like Instagram and Snapchat have really begun to take over. Now that such a high number of these young people are in possession of smartphones, it’s no wonder that they are turning to social networks like these, which were designed specifically for mobile devices, as opposed to Facebook, which was predominantly a desktop site. But it’s not only teens whose smartphone ownership has increased dramatically since that time. The majority of parents with children currently in school are also smartphone-users, with 95% of 25-34 year olds and 91% of 35-54 year olds also now owning smartphones, compared to only 60% and 42%, back in 2012. So, what are teens & parents using today? It’s clear that social networks are now at a stage of maturity where they are appealing to almost all age groups, in different ways. However, Instagram and Snapchat are obvious exceptions to this and are mostly more popular with younger age groups. Whilst Facebook is still technically the most popular social network in terms of active users, the younger generation is certainly beginning to move away from this and more toward more mobile apps. In terms of how we are sharing social media, the line between social networking and messaging apps is constantly blurring, with teens just a click away from sharing their thoughts with not only their followers/friends on various sites, but also directly to their friends via direct messages. Thanks to our desire to often message privately like this, many existing social networks have adapted and expanded to accommodate for this, adding private messaging functions to enable a faster and more direct approach to sharing content. Facebook still stands as the most populated social network. This is no surprise, as they are constantly updating and expanding to try to include more and more functions and features. The site allows users to share photos, videos and other content, to sell items on their ‘marketplace,’ and also to privately message other users. Having recently added ‘stories’ too, following the success of this feature on Snapchat and Instagram, it’s clear that the network is making every attempt to keep up and remain relevant and active in youngsters, who have mostly moved over to being active on other social networks at this point. However, as it currently stands, Facebook is significantly more favoured by a slightly older audience of 23-37 year olds, with an estimated 80% of respondents within the age bracket using the platform regularly, so parents in this age group are extremely likely to be active on the network. However, it has been predicted that various fake news and data breach issues currently circulating the channel may prompt many users to turn away. 2018’s algorithm changes even prompted Facebook to state that they expect users to spend less time on the site as a result. It has been reported that 81% of millennials check Twitter at least once per day. The site allows for direct messaging alongside its primary use (sharing Tweets and media), but also is likely popular due to the novelty of being able to mention anyone’s Twitter handle in a Tweet. This means that a user can interact with their favourite celebrities who - elsewhere - would usually be unreachable. For younger users, this can be exciting and can allow them to feel closer to their favourite musicians, sports stars and other celebrities, giving the illusion of some kind of connection, when they are retweeted or liked by one of these stars. The platform is popular for parents, with the 23-37 age bracket accounting for over 35% of Twitter’s users. The site is known for being quick and easy to use, so that even busy adults and parents often find time to scroll through and keep themselves updated with the latest news and what is happening around the world. If their children’s schools are active on Twitter, this can also be a really useful way for parents to get real-time updates and keep in touch with what happens at the school. Instagram - the leading photo and video-sharing social network - has grown incredibly in usage over recent years, rising to 700 million back in 2017. The network is predominantly popular with younger audiences, with 37% of users between the ages of 16 and 24. Influencers are now able to develop whole careers from Instagram, their profiles acting as portfolios for their modelling or photography, and sponsored posts even allow them to make a serious income from this. For this reason, it’s no wonder that so many young people are aspiring to head in the same direction. A study (by Awin) was conducted with 2,000 parents with at least one child aged between 11 and 16 and it was found that social media influencer and YouTuber were now the second (17%) and third (14%) most popular professions that children are interested in, with only doctor (18%) being more popular. Instagram, like Facebook, adds new features every so often, such as the huge popularity of their stories function, likely inspired by Snapchat stories, as well as their popular shopping feature. This is popular with Instagram influencers who, by giving direct links to the shops from which they purchased their sunglasses, for example, enable fans and followers to buy the exact same ones and feel some connection to their favourite celebs. 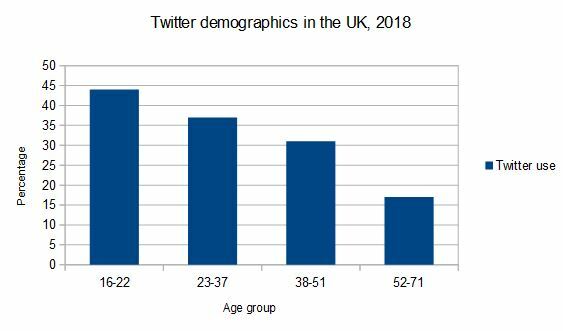 But this young group aren’t the only active users - 18-34 year olds actually account for 61% of the user base, so parents in this age bracket are likely to be using the platform too. 400 million snaps are shared on Snapchat per day - almost 9,000 photos shared every second - with approximately 75% of teens using the app! With 95% of teens now having access to a smartphone, it’s no surprise that this solely mobile app is so popular with this age group. The is especially true since 2017, when the tipping point was finally reached whereby the average time spent online on a mobile device surpassed the average time online on a desktop device. 57% of Snapchat’s users sit between ages 16 and 24 - an overwhelming majority - with massively decreasing numbers as we look at the older age ranges. In fact, Snapchat has the largest majority of its users within this age group, when compared to all other major social networks. However, when looking at older generations, we see that only 38% of 35-44 year olds and just 2% for over 75s. Snapchat isn’t so popular with parents, on the other hand, with many parents even remaining concerned about their children’s use of the app - the idea behind its expiring photos and videos seeming to be more dangerous in parents’ eyes, as opposed to appealing. TikTok - formally Musical.ly - allows users to record and share videos of themselves and friends lip-syncing or dancing to their favourite songs or sound clips from films. The app grew immensely in popularity, over recent years. It is predominantly a creative platform for its users to express themselves and is mostly popular in teens. In fact, 41% of its users fit in the age bracket of 16 to 24. However, with parents, the app is not so popular. 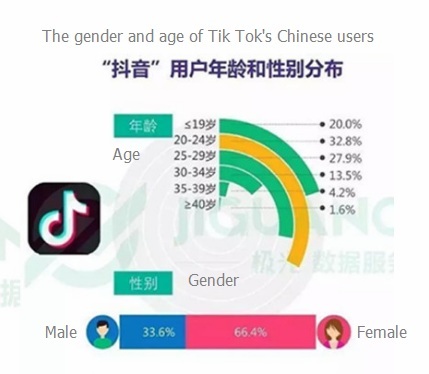 The app originated in China and, while the percentage of adults using the app (known as Douyin) in China is high - 32.8% of Chinese users falling in the 20-24 age bracket - the same cannot be said in the West, with very few parents active on TikTok in the UK. YouTube now has 1.5 billion monthly active users, who watch a billion hours of video each day. The platform ranked as the UK’s second most popular social media channel, with a reported 37.1 million adults using the platform. A comScore report from October 2017 revealed that people aged between 18-24 watched ‘a massive 486.6 videos each on average’ during July 2017, compared to an average of only 96 views among those aged 55+. 79% of all content during the month was consumed via mobile, which, again, corresponds with the high usage of smartphones in young people. As with Instagram, a huge number of young people now aspire to be popular on YouTube. The platform itself gave rise to the world's latest group of social media celebrities - YouTubers. In teens’ eyes, YouTubers are often found to be more popular than many traditional celebrities and are looked up to as influential and powerful icons. In fact, almost 50% of millennials have claimed to have been inspired by YouTubers to make a personal change in their lives. It was found that usage decreased dramatically as the audience aged, with 97% of all 18-24 year-olds active on the site and only 40% of those 70+. This is likely due to the idea that, whilst younger audiences look upon YouTube as an aimless source of entertainment, in the same way as TV, older audiences are more likely to use the site for resources. For example, a teenager may open up YouTube with nothing specific in mind, but could easily spend hours watching their favourite YouTube shows, completely on demand. On the other hand, adults are more likely to go directly onto YouTube for a specific reason - e.g. to watch an instructional video or a film trailer. This means they are likely to search directly for the video they want to watch and, once it finishes, close YouTube as opposed to spending much longer on it, as their children likely do. It is important for schools to know where they should be focussing their time online - now that you know where your students and their parents are spending their time, are YOU targeting the right platforms?